Frederik February 12, 2017 Comment? 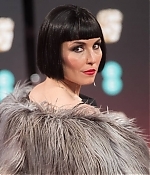 The BAFTA Awards are happening as we speak, and the first pictures of Noomi in an unconventional look on the red carpet have been added to the photo gallery. Edit: Hundreds of additional pictures from the arrivals, the show (Noomi presented the big award of the night, Best Film, together with Tom Hiddleston), press room and after-party have been added. Many many thanks to the wonderful Claudia and Lindsey for their contributions. Much appreciated. Frederik February 10, 2015 Comment? 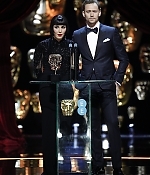 On Sunday, Noomi has attended the British Academy Awards to present the Best Adapted Screenplay category. Pictures from the arrivals, the show, press room and after-party have been added to the photo gallery with more to come. Enjoy the new pictures. Edit: Lots of additional pictures have been added. Frederik December 12, 2012 Comment? 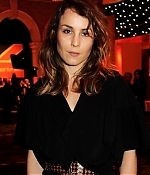 On December 09, Noomi Rapace has attended the British Independent Film Awards in London. Pictures have been added to the gallery. Past nominees, patrons and supporters of BIFA were also in attendance to take part in a special group photo to celebrate the 15th Birthday of the Awards, taken under the iconic UK flag. Prior to the awards, guests dined on a delicious seasonal menu and enjoyed magnums of Moët & Chandon. Additionally to the pictures, a compilation of interviews from the red carpet has been added to the video archive as well. Noomi Rapace talks about the upcoming “Prometheus” sequel, her excitement to work with Ridley Scott and Michael Fassbender again, as well as working with Brian DePalma and Rachel McAdams on the upcoming thriller “Passion” and her love of British Independent Cinema. Enjoy. 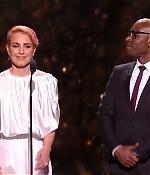 The People’s Choice Awards have launched their selections for the 2013 nominees, and Noomi, as well as “Prometheus”, are featured in a couple of categories. Noomi has the distinction of being featured in the Favorite Face of Heroism category (presented by Puffs) and “Prometheus” can be voted for Favorite Action Movie. You can cast your vote at the People’s Choice Award’s official website. Let’s see if Noomi makes it among the final nominees. 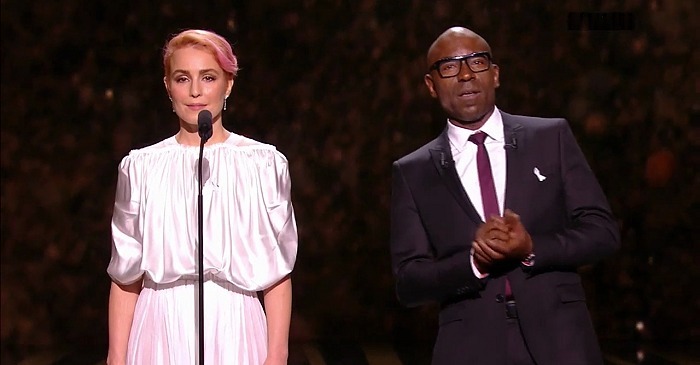 This evening, Noomi Rapace was awarded Best Actress for “Babycall” at the Amandaprisen, the Nordic Film Awards. “Babycall”, having received a total of seven nominations, also won Best Director Pal Sletaune. Kristofer Jonner, Noomi’s co-star in the film, was awarded Best Actor, although not for “Babycall” – for which he had received a supporting actor nomination – but for his leading performance in “Kompani Orheim”. Pictures from the awards ceremony have been added to the photo gallery with more to come.